Greg started off the show talking about how to get the most speed out of your Lightroom catalog. He moved his that is over 3.5GB and 193k photos onto a secondary SSD drive (not the OS drive) and it made a huge difference. 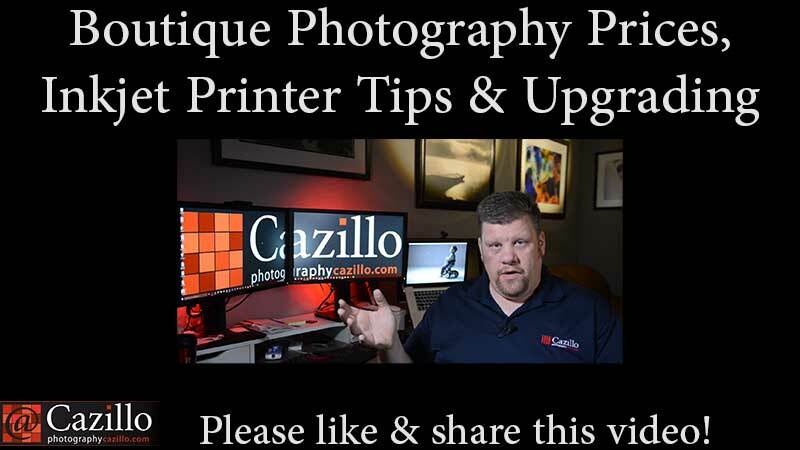 In the second segment Greg explained when to upgrade your inkjet photo printer and how to keep it running perfectly. Greg closed the show with how to figure out what to charge for your photography services and reminded everyone not to be too cheap. Keep shooting!